Information for 2.0-liter TDI vehicle owners & lessees. Volkswagen has agreed to settlements regarding diesel emissions from Volkswagen 2.0-liter TDI vehicles. In addition to the buyback or approved emissions modification, some owners could receive $5,100– 10,000. 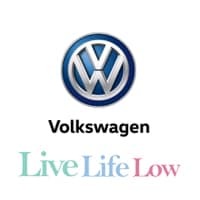 If you are eligible, you can start the process now and Low Country Volkswagen wants to be your preferred dealer to guide you through the process. Owner/Lessee navigates to the claims portal, www.VWCourtSettlement.com, enters VIN, mileage and financing details. Owner/Lessee saves progress to make their decision later, or selects buyback option. Note: If missing documents or incorrect information provided, then OWNER/LESSEE will be asked to resubmit before continuing. Documents reviewed by Support and Administrative Team. Bank interaction for loan payoff or lease information (if applicable). Independent Claims Supervisor reviews documentation, validates offer and payment. Owner/Lessee reviews offer, signs and returns documents. Owner/Lessee schedules buyback closing online. Owner/Lessee brings vehicle and documentation to authorized Volkswagen or Audi dealership for closing with Settlement Specialist and receives payment via Electronic Funds Transfer or check. Owner/Lessee navigates to the claims portal, www.VWCourtSettlement.com, enters required information & documentation. Owner/Lessee selects approved emissions modification or saves progress to make their decision later. Independent Claims Supervisor reviews documentation, validates vehicle emissions modification and payment offer. Owner/Lessee is notified when an emissions modification is approved by EPA & CARB. Owner/Lessee schedules service appointment online with authorized Volkswagen or Audi dealership. Vehicle receives approved emissions modification. Owner/Lessee receives approved payment via Electronic Funds Transfer or check via regular mail. For specific details on the terms of the proposed settlements please visit the Official Settlement Information site at www.VWCourtSettlement.com or call 844-98-CLAIM. If eligible, you will be required to submit a formal claim directly through the program to receive your benefits.